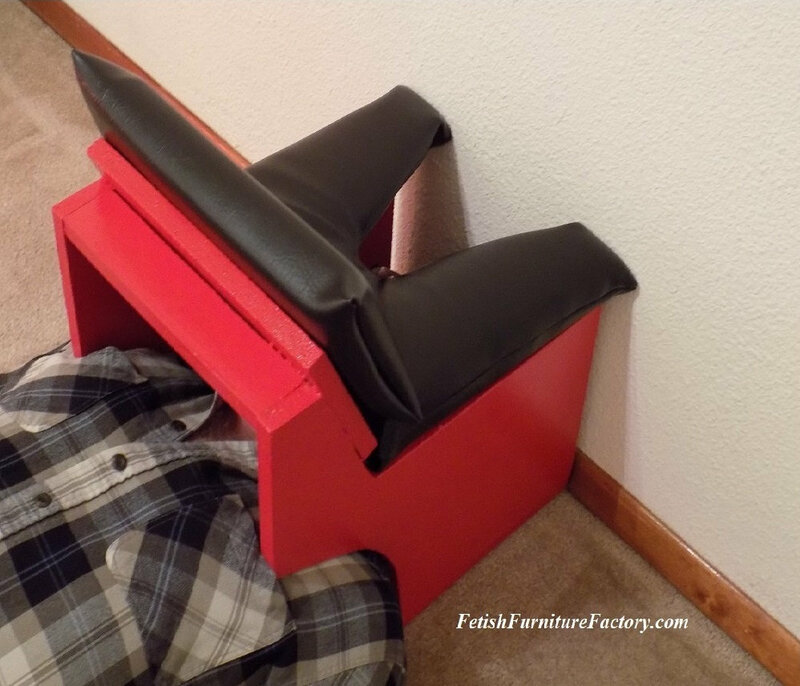 Once I heard about Face Sitting chairs & Smothering Boxes I did some research & found mostly overpriced cheaply built furniture. I wanted structural integrity, with comfort, at a decent price. 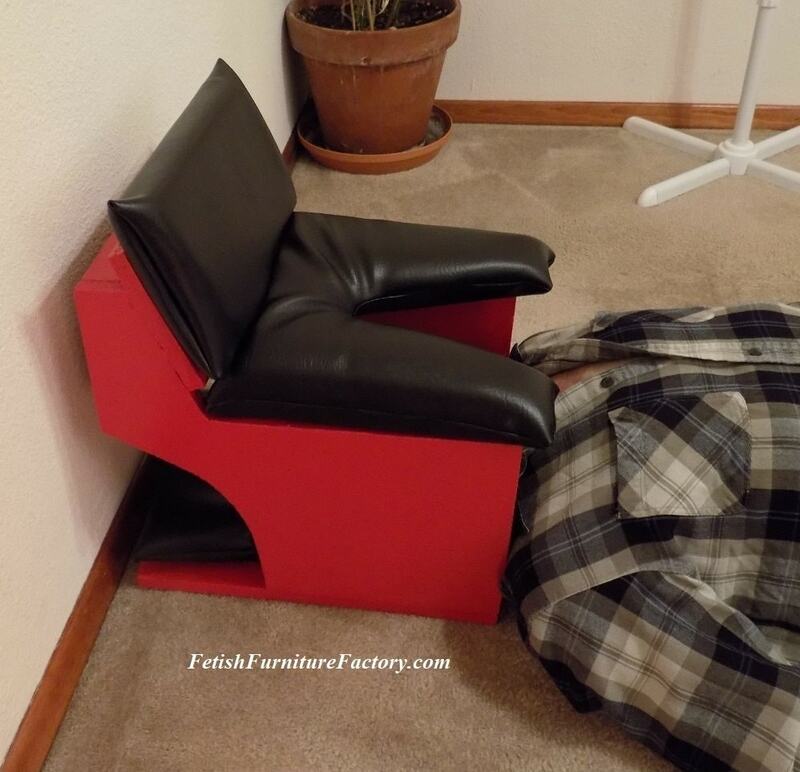 As many were $300 to $500, I decided to design & build my own so the persons head is in a comfortable position without the need of anything beyond a small pillow. 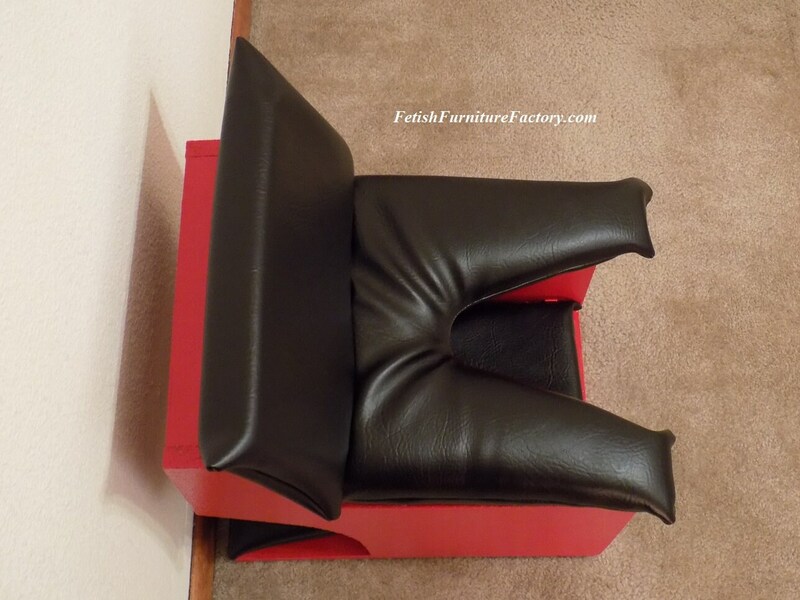 This chair has 2 inches of padding on the seat, the base cushion and the backrest. It is covered in a water resistant faux pleather vinyl fabric. It is close to a Queening chair and/or a Smothering Box in height. I designed this chair to allow access from the front or the back but it has to be stated, that it is not a one size fits all. Anyone with a larger than average sized chest and shoulders may not fit comfortably from the back. If you have questions about this, and want me to elaborate, contact me prior to making a purchase. 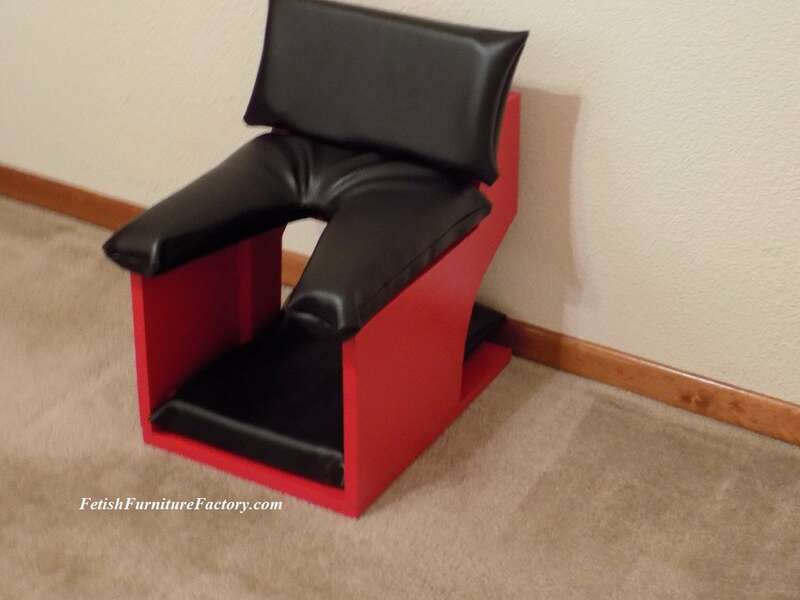 Chair will arrive to you fully assembled and moisture/color treated in a red finish, with free shipping through economical ground transportation via USPS, and is available to the lower 48 contiguous states of the USA only.